Donald Trump’s un-American acceptance speech at the Republican National Convention. There was no reference to the nation’s history, its values, or even its armed forces. There was only Trump. Donald Trump speaking at the Republican National Convention on Thursday. I am your voice … the mystical union of leader and nation. Really, that refrain is the essence of Trump’s authoritarian threat. Thursday night’s halting, stagy address may not sound entirely like the improvisational Trump, the true Trump, but it distills the man and his program. And in the end, the program doesn’t really matter. That’s because the inchoate threat keeps changing—Mexican rapists, Islamic terrorists, Black Lives Matter. It’s all just an anarchic mess, beyond the technocratic solutions proposed by desiccated, politically correct elites. These problems can only be solved by a tough leader, a messianic figure from beyond the system. The threats keep changing, but after so many months of running for president, Trump’s solutions have never evolved. They remain just as flimsy and rhetorical as they were when he started, when he didn’t have a policy shop or speechwriters. The solutions still amount to the promise that Trump will win, that his leadership prowess is the palliative, all else is trivial. I alone can fix it. Trump uses the phrase America First, only dimly aware that he is repeating a phrase from the interwar years and indifferent to its historic resonances. But he compulsively echoes that period—another time when leaders described the world in apocalyptic terms. He harps on the need for national regeneration; he decries the disorder that cannot be remedied by conventional politics; he touts faith in what the historian of fascism Robert O. Paxton calls “the efficacy of the will.” All we need to do is start believing. There was a strangely foreign quality to Trump’s address, despite its overt nationalism. He didn’t ground his narrative in American history; he didn’t invoke any leaders or episodes from the national past. Indeed, he didn’t even mention the troops in uniform, a stock trope of acceptance speeches. 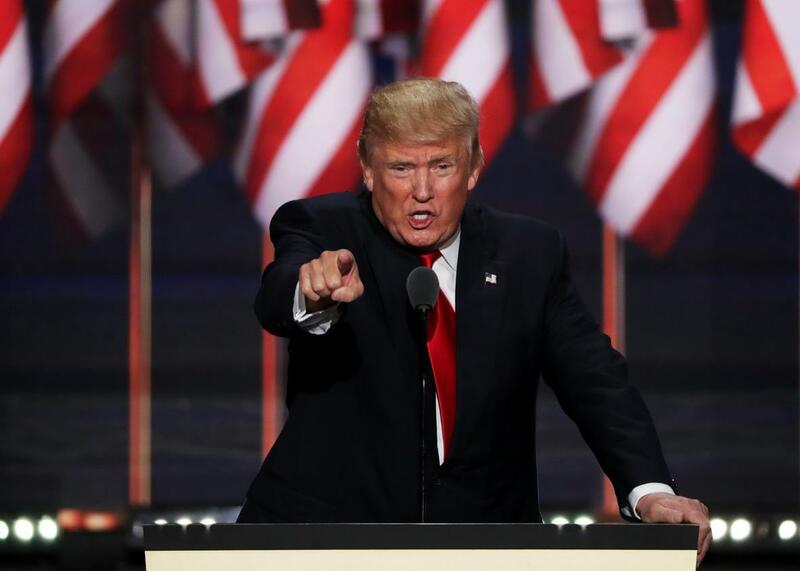 Although he repeatedly led the crowd in chanting USA, USA, there was little sense of American exceptionalism—the pluralistic form of American nationalism that forms the bipartisan basis for our political rhetoric at the presidential level. No talk about a light unto the nations. Aside from his quite striking defense of the LGBTQ community, there was nothing that hinted at expanding freedom to new quarters of the country. Everything in his speech pointed in the other direction—away from American leadership abroad, away from minorities seeking more respectful treatment in the national conservation.